This morning we were able to sleep-in a little, 6am. However our friend Jack set the alarm at 5.50am instead to give some leeway, but I didn’t know that, so I jumped out of my sleeping bag at 5.50am and wondered how come no one else followed! I was in the kitchen next door to our dorm by myself; guess it wasn’t too bad since I get to pick which muesli I want to eat. Every morning and night we would rush to the power socket and charge our phones. Asians and their electronics. 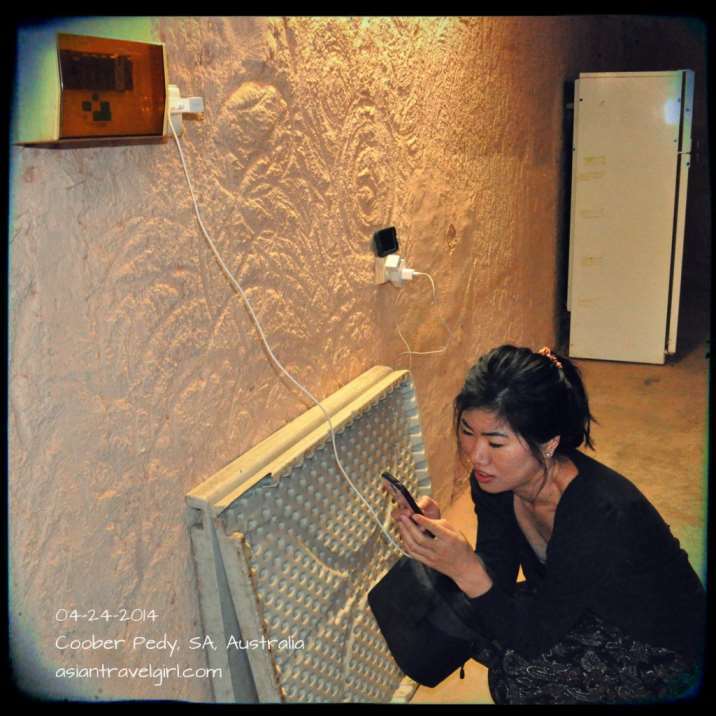 Apparently Coober Pedy has the best filter water system in Australia due to the high mineral contents in the water. The water actually tastes quite good, much better than Adelaide. I guess the governments rather invest in good water filter system in the area than people dying. 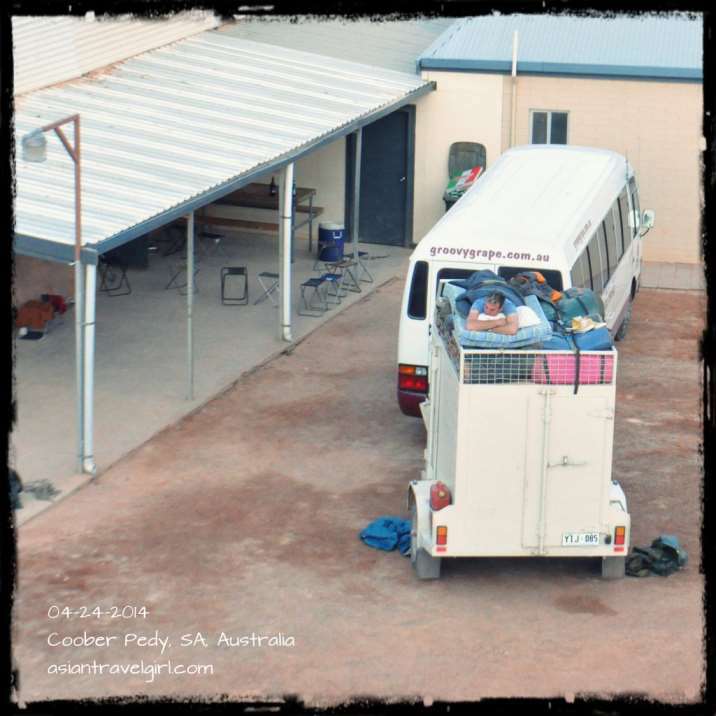 We filled up our water tank in the van with Coober Pedy’s water and chuck in some ice to make it icy. The Austrian couple said what they miss the most about home is water, since no chlorines are added. Other than some minerals in the water, which they will have to filter it out while using a coffee machine, it is actually pretty good. New Zealand water tastes really good too, can’t wait to go home. 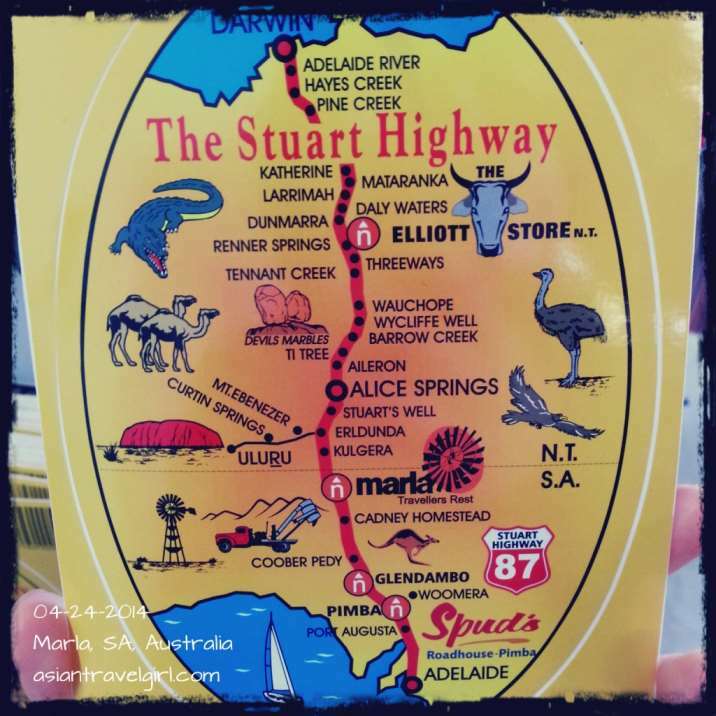 Our plan for today will be driving 750km to Uluru, even longer drive than yesterday. 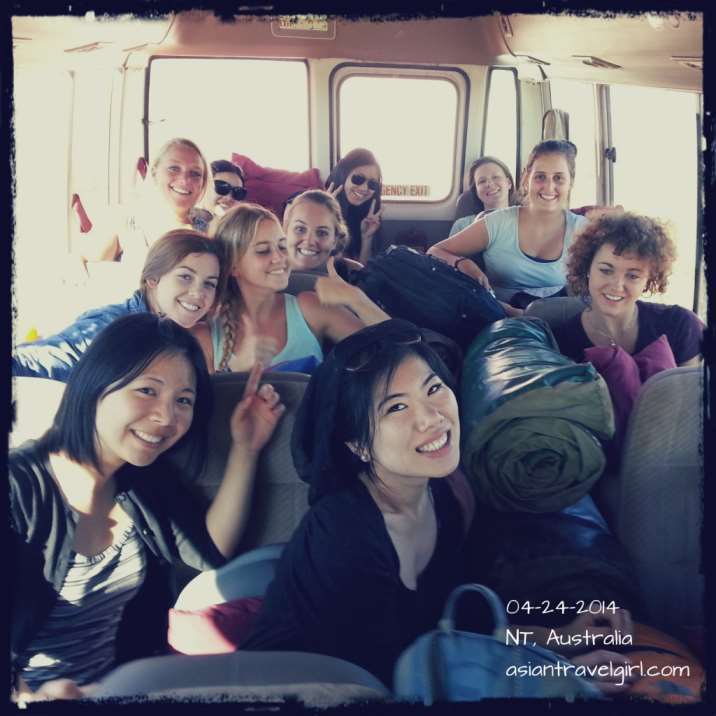 Ideally we will arrive just on time for the postcard sunset of Uluru. I am glad there had been Optus signals every single night since the trip started. Vodafone people didn’t have such luck. Guess Telstra is a must if you really work in rural Australia. After 2 hours of driving we arrived at a small township call Marla. It was pretty much a building with a motel facility, bar, post office and mini bank. Leith bought us some cookies since we have been well behaved. 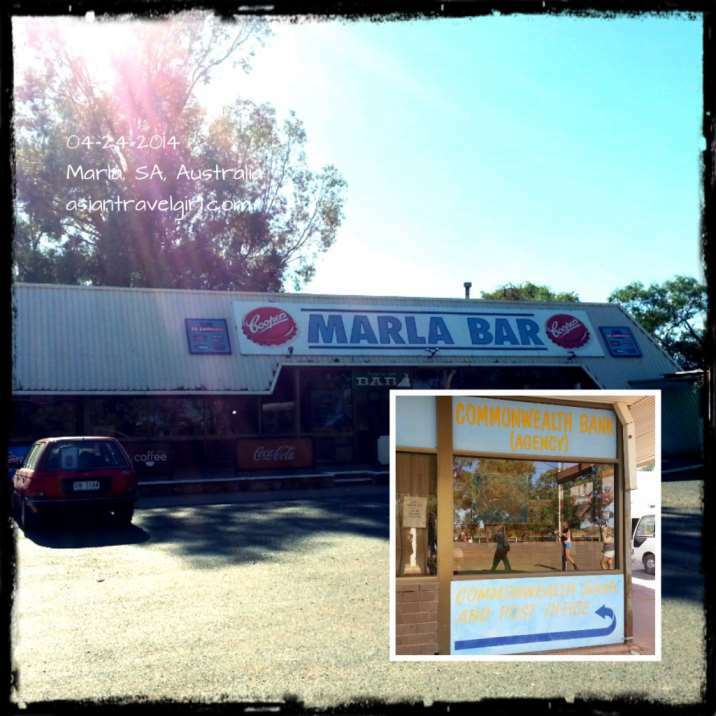 The all-in-one complex in Marla with small Commonwealth Bank and post office section combined. 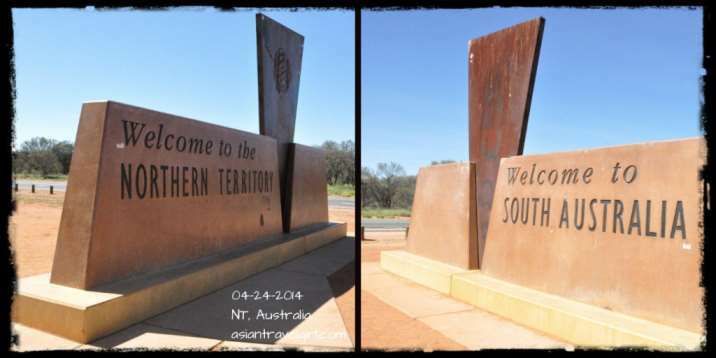 1.5 hours later, we arrived at the division line that separates Northern Territory and South Australia. The sign itself looked smaller than I thought; nevertheless it was still an excellent photo stop. We took heaps of photos at the sign. 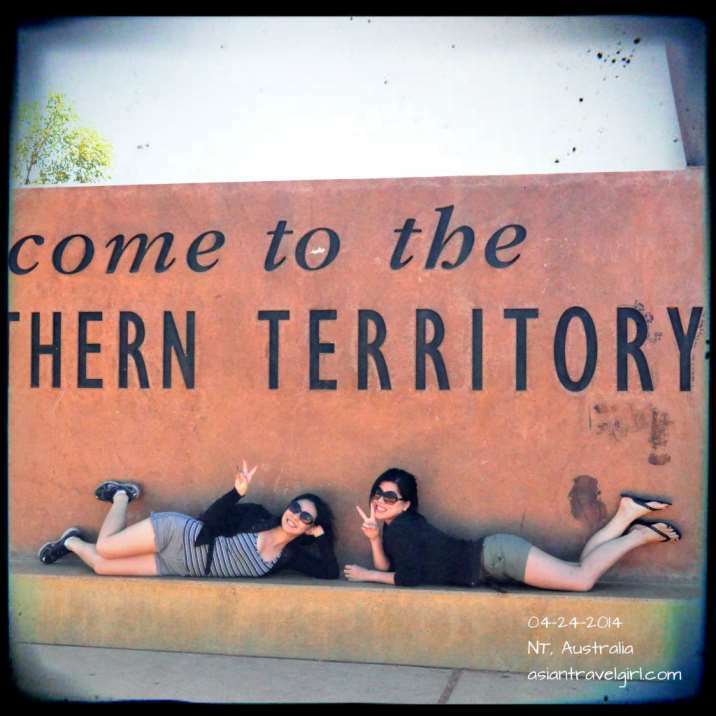 Laura and I were a lot more excited about the Northern Territory side of the sign than South Australia side, I guess that is what happens. One of the many photos we took! The toilet at this stop doesn’t have tap water; however it does have liquid soap though. Which was misleading since I have already squeezed a bit of liquid soap onto my hand then realize I have no way to wash it off! 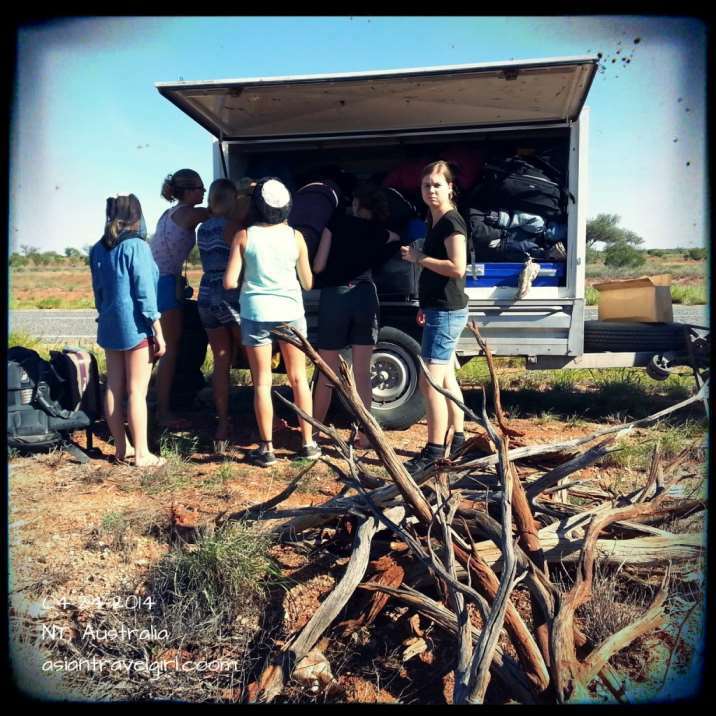 After crossing the Northern Territory state boarder, the amount of flies increased dramatically! They are literally everywhere! Leith said tonight’s dinner is going to be a feast. He certainly wasn’t lying. 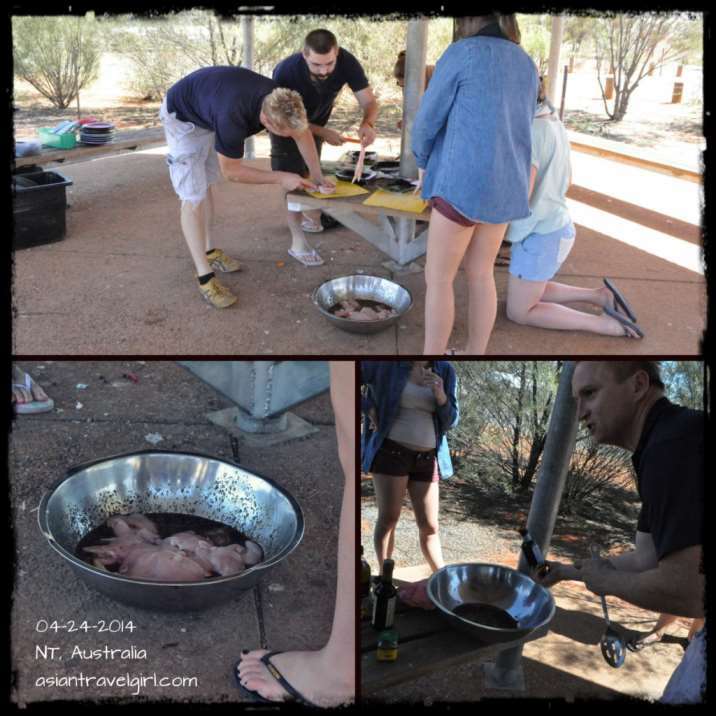 He bought heaps of kangaroo and chicken meat from Coober Pedy last night and marinated them on site. The way he was mixing the sauce looked completely random, he just picks up whatever ingredient/ bottle and just started mixing. 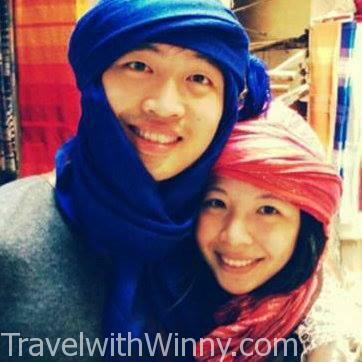 Around 2.25pm we arrived at a petrol station where we were informed about the plan for this afternoon. Leith said since the sun sets around 6pm, we will need to have the camp fire going before that. The fun part is that we will have to find the wood ourselves! So after the talk, we started driving again, in middle of nowhere Leith stopped the car (this was around 3pm). He said we will need 2 day worth of wood for the fire. We had to go under the wired fence and into this random farm area. I asked him if this is private property, he chuckled and said it doesn’t matter out here. He yelled out everyone to be careful especially ones wearing flip flops since the wood can penetrate the plastic into your feet. Leith and the boys found some very dry woods on the ground and some dead trees where we had to kick very hard to break the brunches into smaller pieces so we can carry them back. Since there weren’t enough spaces at the trailer, we will have to move the swags into the van. The result of that was the van’s interior looked like some sort of bouncy castle and we all had to climb on top of the swag to get back to our seats. Just as we finished moving everything in place, Leith smelt gas leaking from somewhere. He suspected one of the timber must’ve knocked the gas opening and released the gas. I asked him how long he can survive in the wild, he said probably a few weeks if there’s water, since he knows what type of plants to eat or not to eat.